Which are comfortable to hold and easy to pour from? Our test includes 20cm saucepans, all suitable for induction cooktops. We tested how long each pot took to boil one litre of water, how comfortable they are to hold and pour from without dripping, how hot the handles and lid knobs became during cooking, and how easy they were to clean. Snapshot: The Baccarat Capri + Saucepan 20cm 1024662 has a 3.6L capacity and weighs 1.8kg. How fast does it boil water? Snapshot: The Chasseur Cast Iron Saucepan French Blue 19503 has a 2.4L capacity and weighs 3.4kg. How fast does it boil water? Snapshot: The Le Creuset Classic 3 ply Stainless-steel Saucepan has a 3.8L capacity and weighs 2kg. How fast does it boil water? Snapshot: The Raco Contemporary 20cm/3.8L Stainless-steel Saucepan 764420 has a 3.8L capacity and weighs 1.6kg. How fast does it boil water? Snapshot: The Stevens Cook Gourmet 20cm/3.9L induction saucepan has a 3.9L capacity and weighs 1.9kg. How fast does it boil water? Snapshot: The Scanpan Coppernox 26003 induction saucepan has a 3.5L capacity and weighs 2.1kg. How fast does it boil water? Snapshot: The Cuisinart IA+ 47172 induction saucepan has a 3.6L capacity and weighs 2kg. How fast does it boil water? Snapshot: The Scanpan Impact 22003 induction saucepan has a 3.5L capacity and weighs 1.9kg. How fast does it boil water? Snapshot: The Miele by Iitalla KMKT2040 induction saucepan has a 4L capacity and weighs 1.7kg. How fast does it boil water? Snapshot: The Greenpan Kyoto 20cm Saucepan 631011 has a 3L capacity and weighs 1.5kg. How fast does it boil water? Snapshot: The Chasseur Maison Stainless-steel Saucepan 19803 has a 3.7L capacity and weighs 1.8kg. How fast does it boil water? Snapshot: The Essteele Per Vita 20cm/3.8L Covered Saucepan 792860 has a 3.8L capacity and weighs 2.2kg. How fast does it boil water? Snapshot: The Jamie Oliver by Tefal Professional Series Hard Anodised 20cm Saucepan has a 2.9L capacity and weighs 1.6kg. How fast does it boil water? Snapshot: The Circulon Symmetry Hard Anodised 20cm/3.8L Saucepan 840020 has a 3.8L capacity and weighs 1.7kg. How fast does it boil water? Induction-suitable pots and pans have a ferrous metal base, which means a magnet will stick to it. An induction pot or pan should be the same size as the element it sits on. Will it fit easily in your sink for cleaning? Check the weight. If it’s heavy when it’s empty, it will be a strain on your wrist when it’s full. 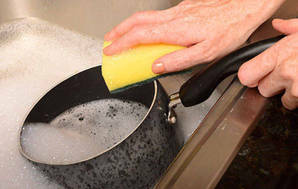 While some saucepans are dishwasher safe, a dishwasher’s detergent can be too harsh, especially for non-stick surfaces. It’s better to hand wash in warm soapy water and use a soft sponge for cleaning. Never wash a hot non-stick pan in cold water; this can damage the non-stick surface and may cause the base of the pan to buckle. 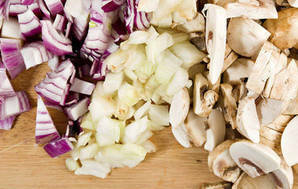 To get the most out of your saucepan only use wooden or silicon utensils. Even though some manufacturers claim using metal utensils is OK, using or wooden or silicon ones will prevent scratching and extend the life of your pan.